Happy Wednesday! Another Wednesday, of course, means another edition of Wednesday wants. I did a lot of online “window” shopping this weekend, so it was hard to narrow down items to just 2 outfits this week. I did though (clearly haha) and I hope you like the looks. I am head over heels for every one of these items. 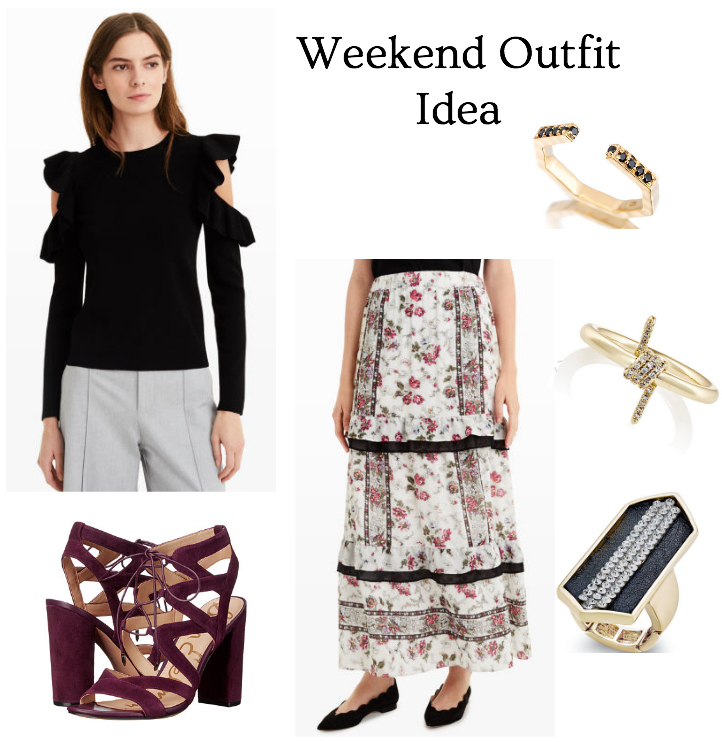 I have been keeping an eye on outfits with cold shoulders because I find the trend very interesting – but I haven’t found it to be something I would wear. This cold shoulder shirt with ruffles and a very classic fit won me over. I love it. The floral skirt is the perfect compliment – and is great to transition from winter to spring. I decided to go with wine colored shoes to bring out the flowers from the skirt. I have these lace up heels in a tan color and they are my favorite summer shoes. So comfortable. I definitely need to add this wine color to my closet as well! In terms of accessories I went with statement rings because you know I am a statement ring addict. While I am a huge fan of print mixing and incorporating color into your work wear, sometimes it’s nice to just create a monochromatic work look. It’s effortlessly polished and professional. The flutter sleeves on this dress give the professional style a trendy element, which is always a great addition to work wear. I also love the subtle print to the fabric. 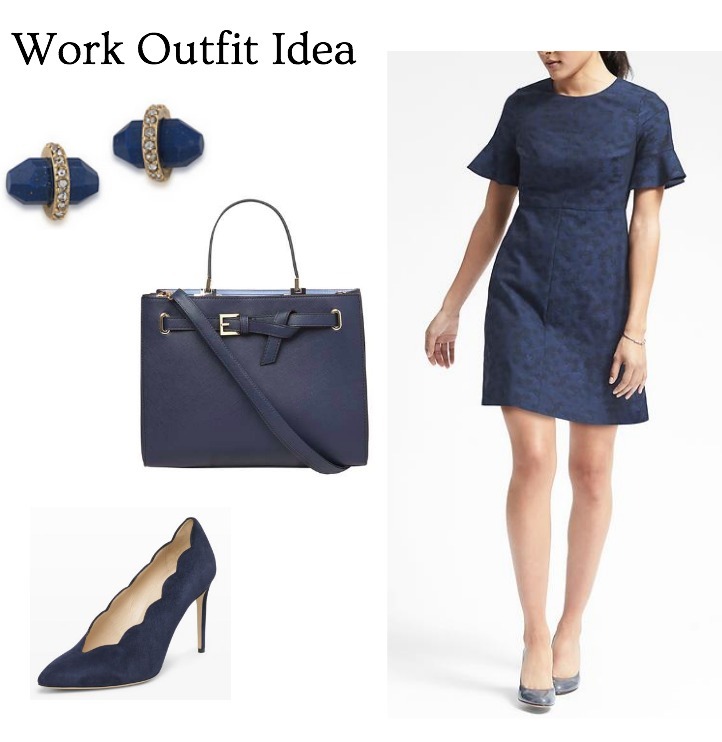 Add some navy accessories (how great are the scalloped pumps?!?) and you’ve got a solid work look! "Best Beauty Products for the Busy Working Woman"